The rolling action of the Lake Groomers rollers will dislodge and existing weeds and prevent new weeds from growing. Furthermore, the Lake Groomer stirs up muck from the bottom of the lake and causes it to float away from your shoreline. The Lake Groomers powerful 0.167 horsepower head has more than double the horsepower compared to any other lake weed roller on the market! The head of the Lake Groomer can also be programmed to shut off after a predetermined number of cycles, saving you money on your energy bill. 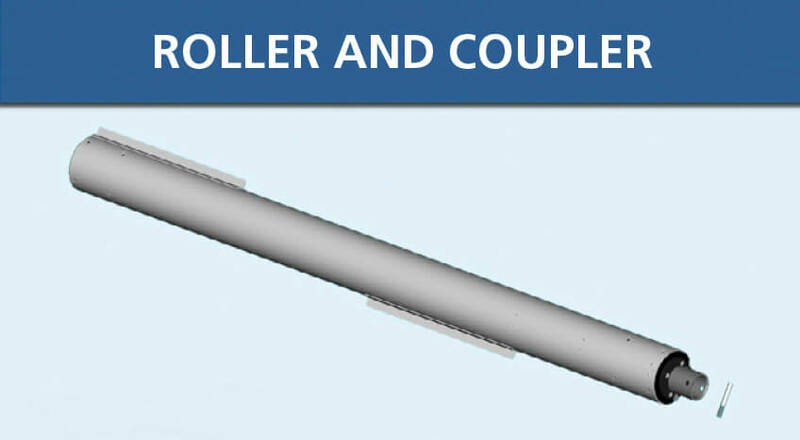 The Lake Groomer comes standard with 21 feet of roller tubes that cover a 42 foot diameter. If you need to cover a larger area of your lake bottom, you can purchase extra extensions that can cover an 84 foot diameter of lake bottom. The flexible couplers between the rollers allow them to follow the contour of the bottom of the lake to control large areas of your beach. The Lake Groomer can be placed anywhere you want to get rid of the weeds and muck. You can mount it from your dock or pier or you can purchase a freestanding frame and place it along your shoreline. THE MN DNR REQUIRES A PERMIT FOR USE. CONTACT US FOR ASSISTANCE ON HOW TO ACQUIRE ONE. Use to extend the standard 21' by 7 feet with each roller. 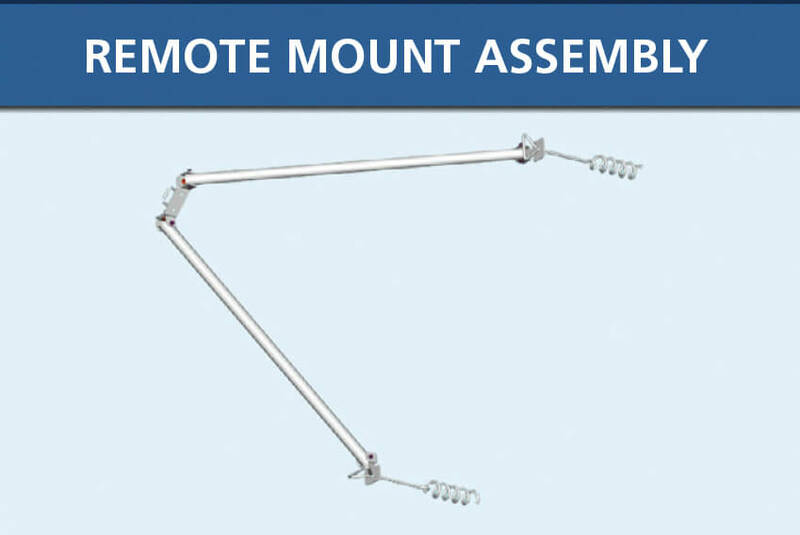 Add up to 3 extra rollers for a total of 42' in length and increase your overall coverage area by 84'. For deep water installations. 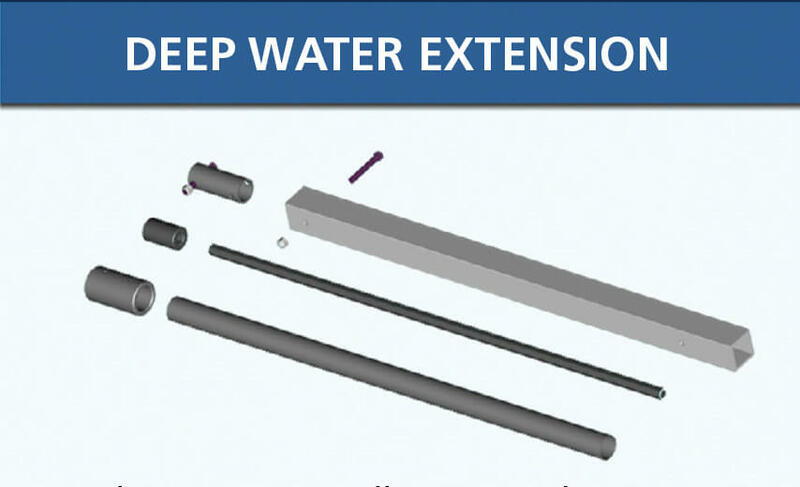 Each extension allows an additional 3 feet of depth at the drive head. Add up to two extensions. 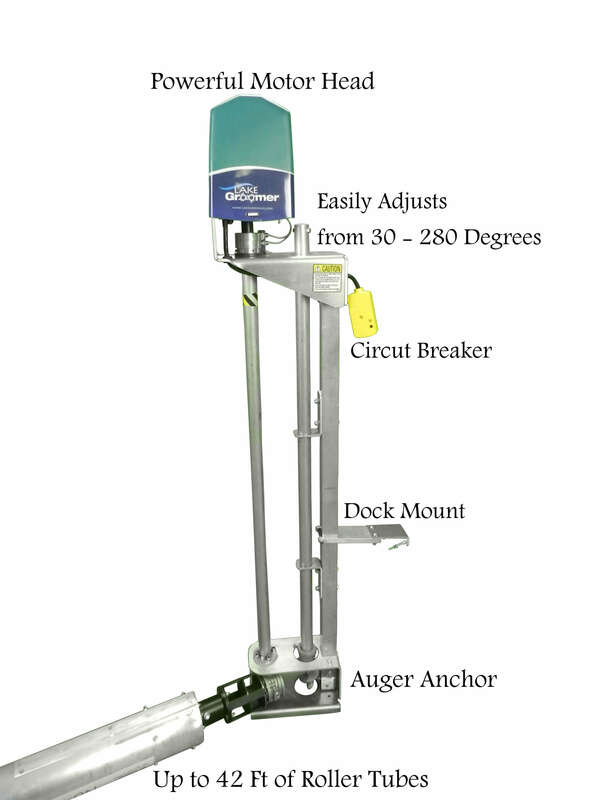 Anchoring legs that act as a tripod mount to install the lakegroomer without attaching it to a dock. 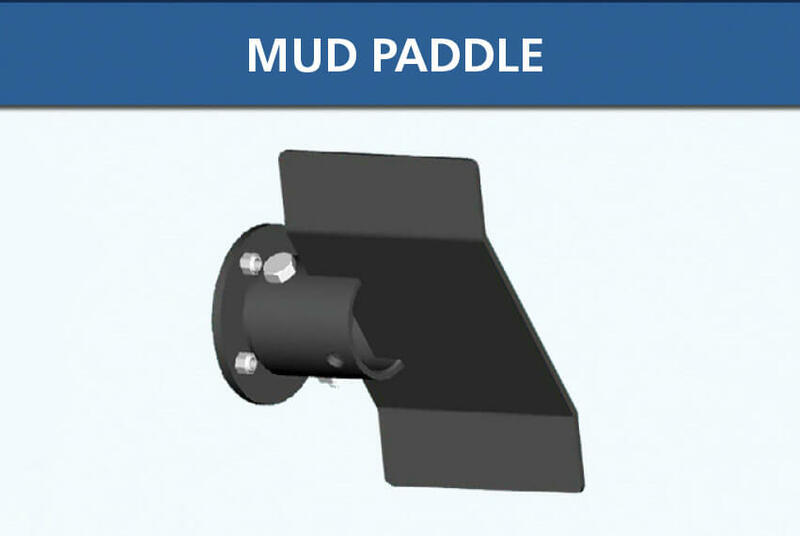 Paddle mounts to add to end of roller tube for extra traction in extreme muck & mud conditions. What is a nice sandy lake bottom worth to you? Are you sick and tired of the continuous infestation of aquatic weeds destroying your very expensive lake front property? Are you overwhelmed by the ongoing maintenance to manage your swimming area? 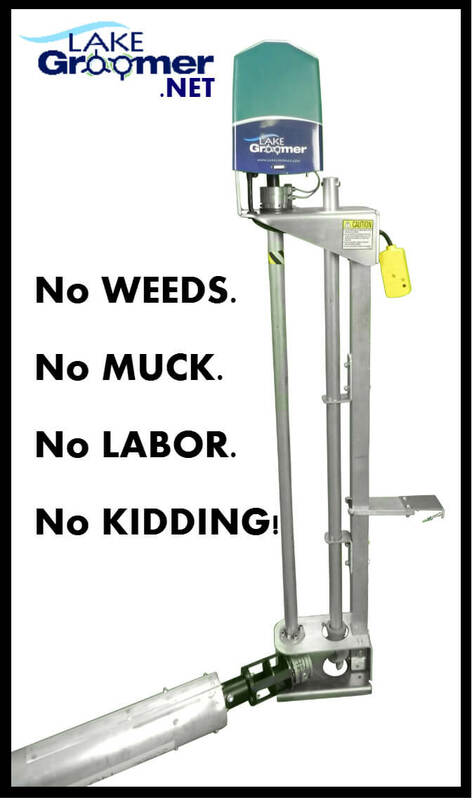 Why pay hundreds or thousands of dollars every year to your local Lakeshore Aquatic Weed Management Services when you can buy the Lake Groomer? This seaweed cutting, pulling powerhouse will clean the bottom of your beach so fast you will be amazed. It will even get rid of bottom sediment and the odor that comes with it. The Lake Groomers rollers will do all the work for you so you can enjoy your beach again! Now, if it so happens that you purchase your Lake Groomer in the spring before your lake weeds start growing you can actually prevent weed growth for the whole season. If you purchase it later in the year when weeds are already growing and when there is heavy weed infestation, there is really no big problem at all because there is so much power in the lake groomer, it can power its way through the thickest vegetation. The weed roller does exactly what it promises! After only a few days of operation, our swim area is weed free and the once mucky bottom is hard packed sand! Wish I would have discovered this product years ago!!! I installed it by myself in only a few hours.